Back to front thinking is unfortunately common in the traditional approach to both horse care and riding, and it often becomes a self-supporting vicious circle that is not so easy to escape from. A Prerequisite for Barefoot, or a Natural Consequence? Recently we came across the approach of a farrier who both shoes horses and offers barefoot trimming. His explanation of what qualifies a horse to go barefoot as opposed to being shod embodies the kind of back to front thinking that is common in the horse world. 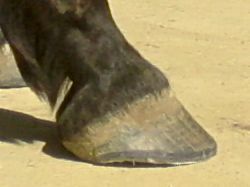 His attitude to keeping a horse barefoot is that it is all very well as long as the horse's feet are healthy enough in the first place in order to cope with it, however, in his view, many horses who are currently shod simply do not have good enough feet to do without the support of their shoes. 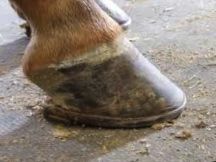 The flaw in this thinking is the lack of recognition that the practice of shoeing in itself actually weakens the health of the hoof, so that in a way the hoof does become dependent on the 'support' of the rigid shoe. But as with all living systems, hooves have a capacity to change and re-gain health if they are given the right circumstances to do so. For horse hoof health, this means a low-sugar diet, healthy lifestyle including sufficient stimulation from movement, protection from hoof boots when necessary, and, most importantly, liberation from the damaging effects of steel shoes. 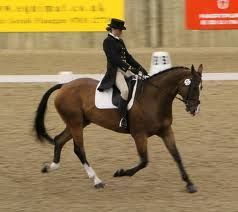 Barefoot is not a privilege for some proportion of horses who already have good enough feet. It is the state that all horses hooves are most healthy in, provided we address the other major factors that contribute to hoof health. It is a simple fact that shoeing degenerates the health of any horse's feet, because it inhibits the basic functioning of the hoof (to see why go to: The Importance of Natural Horse Hoof Care). The resulting damaged hoof (with subsequent poor horn quality, weakened shock-absorption, and general structural imbalance) does indeed 'need' shoes to hold it together! The difficulty in reversing this negative spiral is that, as well as addressing the requirements of the barefoot horse, which are often inconvenient (e.g. limiting grass consumption, using hoof boots, finding a barefoot trimmer or learning to trim yourself), we also have to be patient enough to allow health to return to the hooves, which can take a long time. Removing the shoes is often like taking the lid off a can of worms - we are suddenly presented with the real problems that have been hidden - but it is also an opportunity to deal with them and allow regeneration to take place. The vicious circle of 'shoeing - weak hooves - subsequent need for shoeing' is present in other ways in a lot of conventional horse care. 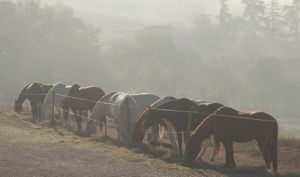 For example, horses who are kept stabled for the majority of their lives become dependent on the 'safety' of their box, both physically and psychologically. Their limbs are less tough and more prone to injury, their balance and strength is underdeveloped, and mentally they become institutionalized to the confinement of the stable, and are often lacking in social skills with other horses. All of these means that when horses like this are actually turned out, they are far more likely to behave erratically and injure themselves, supporting the belief that they are safer and better off in the stable. 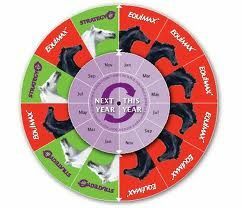 There are also many examples of these vicious circles which originate from back-to-front thinking in conventional equine health care. For example the year-round use of synthetic wormers which wipe-out the healthy gut flora as well as the intestinal parasites, disturbing the healthy balance of the gut and making it more susceptible to subsequent parasitic invasions, which in turn 'necessitates' the further use of wormers. The use of vaccinations and antibiotics is a similar example, often compromising the immune system and therefore making health problems all the more likely. 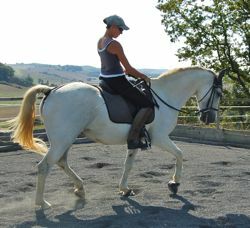 The manifestation of this approach in riding is the all too common situation where the rider addresses the horse's lack of balance, and their own, by holding on with the reins. Both horse and rider then become dependent on this fulcrum of support, which is essentially restrictive and inhibits the possibility of real balance and unity being found through engagement. We have often found that horses used to being ridden in this way will do everything they can to actually seek out that support of the holding rein because it has become their habitual way of going, even though it is uncomfortable for them. Reversing this situation so that the rider finds a new way of balancing which initiates the re-balancing of the horse, who then carries himself on the postural ring, requires an considerable effort for both horse and rider. Just like the process of going barefoot, there is a period of adjustment when the old dependencies still seem so much easier and more sure. But when we do break through to that new balance - even for a moment - it is such a liberation that we never want to go back to the other way. In all dimensions of riding, training, and horse care, if we can stick to what out intuition tells us is the right way - the way which prompts heath, happiness and liberation from constraints - then despite the tough times we may encounter, the rewards will come in the end. It is when we let our choices and judgement be clouded by fear that we find ourselves stuck in situations of dependence which are not truly beneficial for either ourselves or our horses. When we start to make the choices that really put the horse's health and happiness first - whether in horse care or riding - we discover that they actually all support each other, forming a positive circle where health, happiness and performance all go hand-in-hand. This is the central philosophy of Happy Horse Training, and it is why we include such a wide range of subjects in our information. A horse is a whole animal, and if you want to achieve something special in any one facet of equestrianism, then you have to re-think all of the other facets as well.